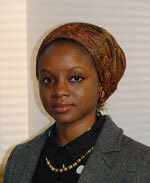 Zainab Usman shares with us her new paper on political settlements in Nigeria. Zainab is a doctoral candidate in International Development at the University of Oxford. Her research assesses the oil economy, economic reform and political institutions in Nigeria since the transition to democracy in 1999. Zainab is also the co-convener of the Oxford University China-Africa Network (OUCAN). She tweets at @msszeeusman. There are two stark images of Africa today. One of an ‘Africa rising’, surfing the wave of a digital revolution to drive a middle class consumption of innovative mobile technology and digital financial services. The other, of a more familiar Africa, whose oil and mineral resource economies remain highly vulnerable to the volatile swings of global commodity prices. 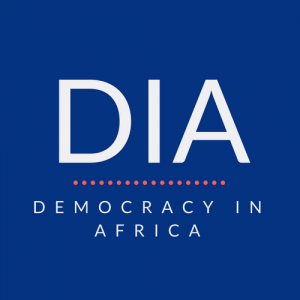 The two Africas may seem like worlds apart but they are actually two sides of an ongoing economic transition on the continent, and are outcomes of the same political processes, as I argue in a new paper, which focuses on Nigeria – largest economy and its largest oil producer – in the post-military era. My paper explores the political underpinnings of this ongoing economic transition. I employ a political settlements framework to analyse why reforms are inconsistent across economic sectors within Africa’s resource exporters, and why the commitment to reform is so variable across time and space: During this period, we saw the successful liberalisation of non-mineral industries, such as telecommunications, in this era, which unleashed the ICT revolution. At the same time, we also witnessed the stagnation and decline of the oil sector, characterised by the scandalous mismanagement of billions of dollars of oil revenue and violent resource conflicts in the Niger-Delta. By analysing the underlying institutional configurations that led to this divergence, we can better understand why a decade of economic growth and the digital revolution have not translated into a significant diversification of exports and fiscal revenue in the continent, leaving the continent vulnerable to global commodity price swings. It also helps us to comprehend why oil and mineral windfalls have barely translated into sustainable economic and human development. The nature of threatsto the ruling elite explain the relative success of telecommunications liberalisation while the oil sector, insulated from reform, remained an instrument for dispensing patronage. The capacity and resourcesof the ruling coalition in assembling a technocratic economic team and selectively empowering a domestic business class had a differential impact on the telecommunications and oil sectors. The inequities in the distribution of benefits: of a growing telecommunications and broader service economy which responded to reforms, horizontally to a few elites and vertically to a small labour force heightened elite- and wider societal-distributional pressures on oil rents, which fostered inefficiencies in the oil sector, but also undermined the reforms’ legitimacy. It is hoped that this paper contributes to our understanding of the political underpinnings of the on-going economic transformation in sub-Saharan Africa and generally, the mechanisms of variation in the growth and decline of economic sectors in resource-rich countries.